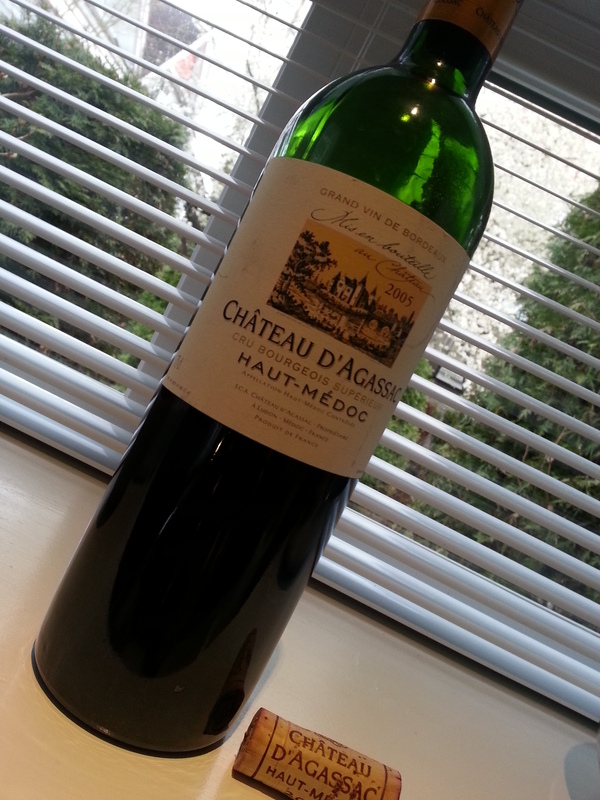 From the cellar: This blog is littered with complaints about the supposed brilliance of the over-hyped, over-priced, 05 Bordeaux—but not in this post. We had low expectations, it wasn’t a prime suspect by Parker. But the CDA was velvet smooth, hints of cedar, hay, dark fruit, pepper and with a lingering elegant finish. Tannin free. Worth every GigaWatt it takes to run the cellar. The most spectacular piece was simply how layered each flavour was, nothing harsh or biting and no competition between discrete notes. We had it with an archetypal French dish: Chicken, shallots and tarragon simmered in a white wine and Dijon sauce. Delectable. Price: No record. Expensive. It’s Canada after all. Market Liquidity: Like a blue chip stock. From the cellar: I had to get the all season tires from the crawl space, which is no small feat, and of course once I’m down there I can’t resist handling the wines that are purposely out of reach. 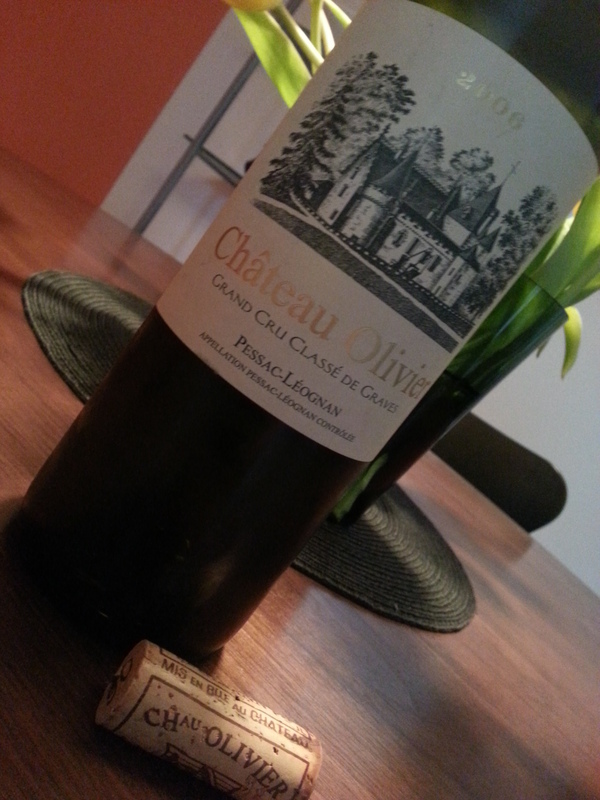 So two bottles Bordeaux blessed our weekend. From the fridge this was too cold, crisp and fresh but character-free. With warmth and air it opened beautifully, first steely, Semillon-ish, then floral, like the spring blossoms carpeting the streets this time of year, and a lovely honey finish. What possessed us to buy a $40 bottle of Graves is a mystery but it went down without any qualms. Hard for us to justify the price but we much-appreciated the expertise of this expert blend. Market Liquidity: Worth the storage? Moot point. Complex, mysterious, and worth savouring. Superbly evocative of the varietal. We had an “episode” with the cork, so I started with negative bias. We had to decant, then aerate through a sieve, and there was still a slightly sour note on the palate as well as a soupcon of cork. But it mellowed, it opened up, and over the course of a few hours (if you can make it last that long) it evolved into the most interesting Argentinean red we’ve had since returning from, yes, Argentina. If you purposely open a Cab Sauv you are probably hoping for depth and nuance combined, something like a sledge hammer red with a feather flourish. And this comes pretty damn close. It started uneasy but finished with a wallop of distinct flavours and scents: Cedar, black currant, licorice, vanilla notes. I was torn ($32 bottle and all) but I have to say it would definitely be worth the coin a second go round. 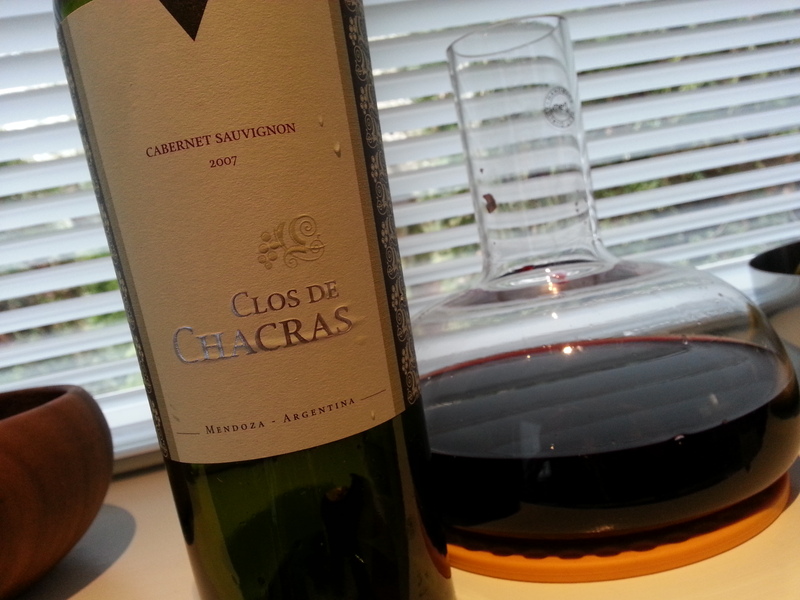 Market Liquidity: A miracle from Mendoza. 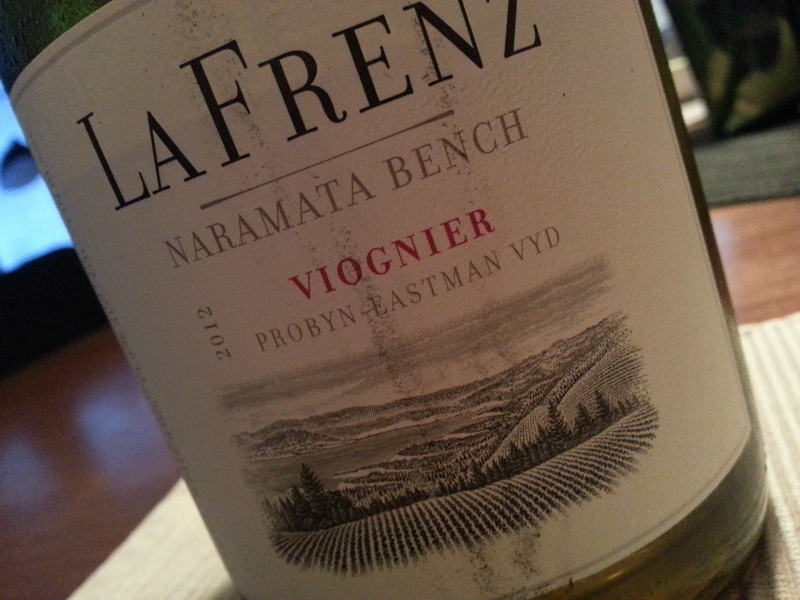 In another of our “revisiting recent vintages of wines we loved” week we sampled a newer La Frenz Viognier. 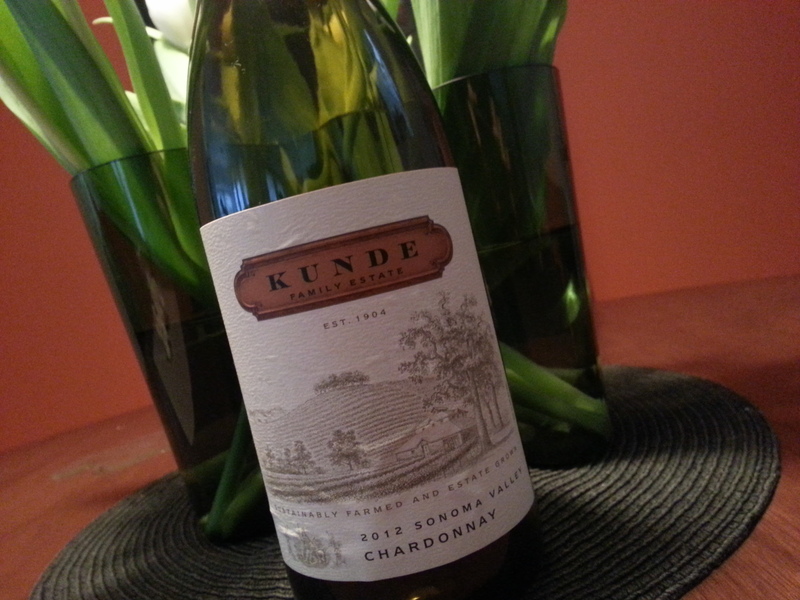 In our review of the 2011 Viognier we went rather ga-ga, oohing and awing at the wonder of it all. Well, hmm, yeah. I don’t think there are any apologies in order but while we also liked this, liked it a lot, there weren’t too many raised eyebrows or conceited smirks at our vini-prowess. The 2012 is sort of Steven Wright to the 2011 Seinfeld. Price: From the vineyard. $22 I think. Market Liquidity: Pleasant and palatable. We spent the week revisiting newer vintages of wines we reviewed with high praise in the past. This pick has held up beautifully; still strong, assertive, gobs of fruit and lusciously food friendly. 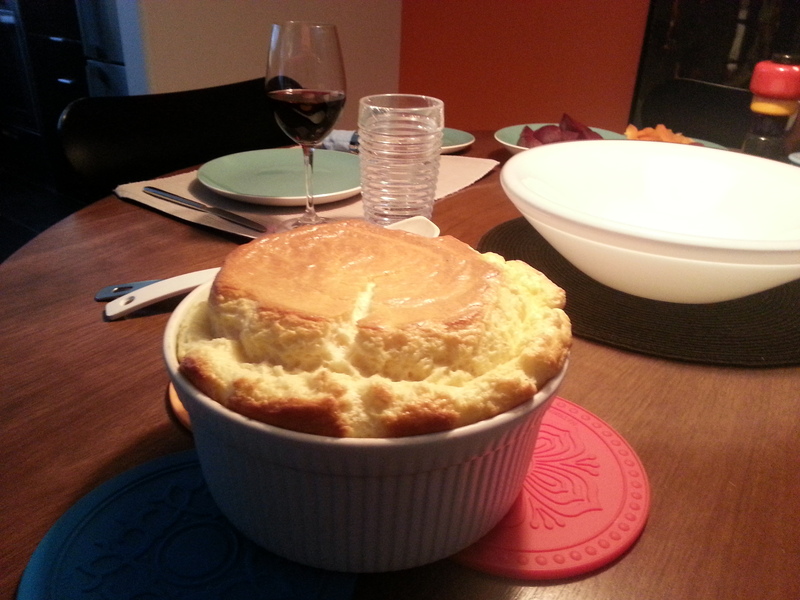 We drank it down with a sharp flavoured cheese souffle and steamed vegetables. Not much to add to the first review, the 2009, here, except that given the years gone by the (expensive) price tag has held steady. Still wonderful, still too much money. Price: $37.99 at Libations and other private stores. Market Liquidity: Will impress the in-laws. Glorious. I could sing a hymn: Be thou o God exalted high, and as thy glory fills the sky… I heard Brahms. I heard Bach. So, OK, enough with the hyperbole. This is just a very, very satisfying bottle of wine. It has that striking balance that hits you with alacrity because most wine, most wine that gets high scores, is pronounced. It proclaims itself “New American Oak” or “Potent Potable.” This is subtle, with balance, with nuance, some oak, some stone fruit, a little straw, a bit of honeydew, but all combined, opening gently like a symphony, building on the palate and ending with a lingering, savoury finish. I wonder if in fact it is too subtle for the modern drinker? A stroke of genius but no cymbals? For those who have never listened to the full version of Also Sprach Zarathustra, you’d be surprised how it mellows and gently peters out without the brash fanfare we all equate with 2001. On a simpler note, I dreamed of winning the Lotto Max and buying oodles of white Burgundy. Anyone surfing through the posts here knows we have a soft spot for Olivier Leflaive. This bottle came to me from my sister, who stayed at his hotel in Puligny-Montrachet, then brought a bottle all the way back to Canada for her brother. O lucky day! I do hear a hymn. 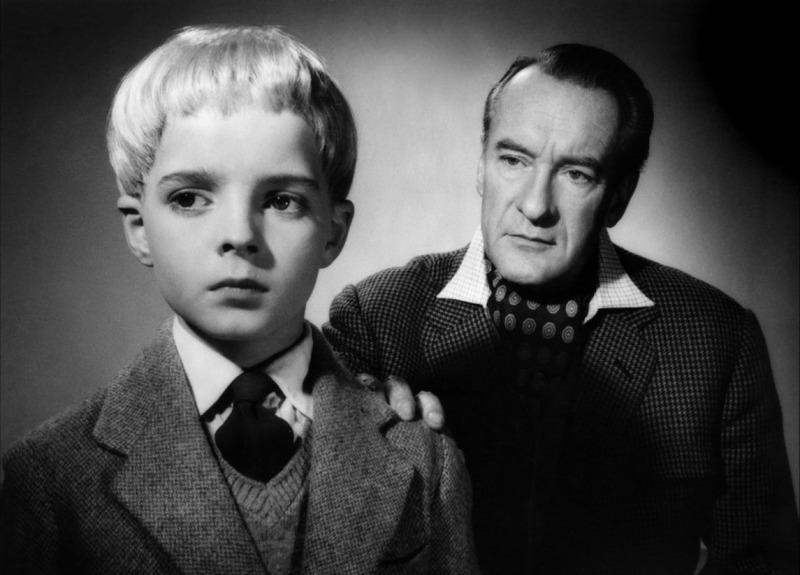 One of my favorite character actors, George Sanders, could lean against a brick wall and bring more to a scene with a raised eyebrow than his much more famous contemporaries flailing about with spot lighting and myriad props. If you know what I mean, that is this wine. Price: Gifted, but the 2010 was available at Marquis for $110. Market Liquidity: Ethereal. I can’t even remember drinking it. Our current go-to weekday red. 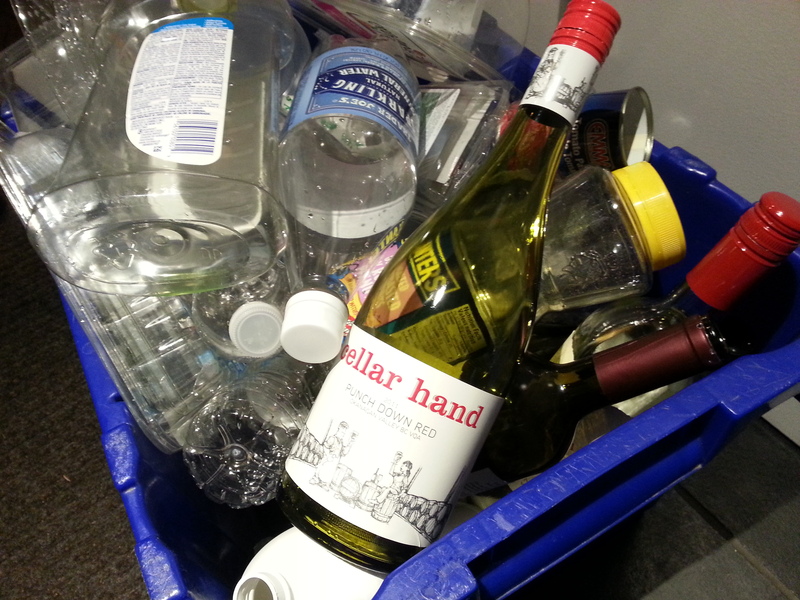 Here it is out the door for recycling; it went too fast for me to get a picture… A “lesser” red from the notable Black Hills winery, this is a fabulous everyday wine, easy to drink, not remarkable but certainly better than the meagre 87 points local reviewer Gismondi gave it. Just enough vanilla and just enough tobacco leaf that you are neither in the bowl (e.g., Cab Franc) or in the bakery (e.g., Pinot). Too bad more BC vintners can’t make a secondary wine as approachable as this; millions would stop the Oz/South Africa/Spain/Chile habit overnight. No, it’s not Black Hills Nota Bene. But after a long day at the office who cares? No guilt finishing a bottle mid-week. 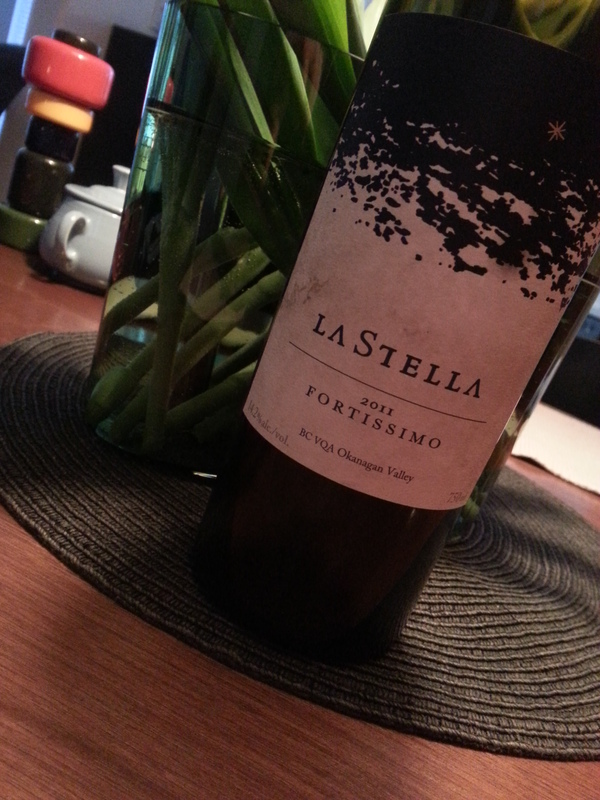 As I say, we simply can’t help ourselves plonking down less than $20 for a bottle this drinkable. This wine is perfect for the “winter is going on too long and we want to drink lighter wines but are still eating wintery food” mood. It hints at spring but is up to the task for a braise. Although a lightish blend, it has even stood up to meaty pizza. Ridiculously good value for BC, where even the most basic blends chime in at ten dollars more. Market Liquidity: Makes you feel patriotic. Not as magic as the Grgich Hill, although in the same price range. A beautiful expression of California Chardonnay (you know, the hard hitting Chard; we call a lot of California Chards Hollywood White). And, yes, a lovely white, although quite forward chilled and “friendlier” with air. 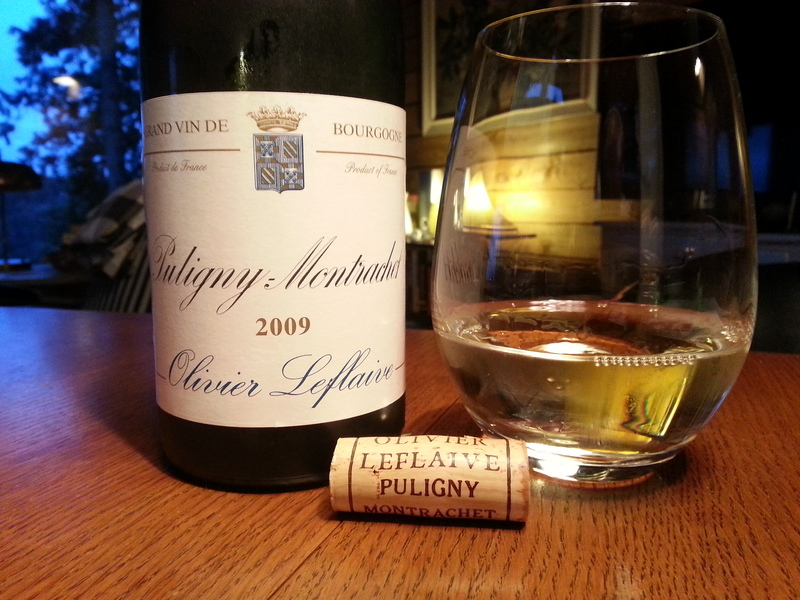 As it warmed the predominant oak gave way to hints of orange blossom and honeydew. 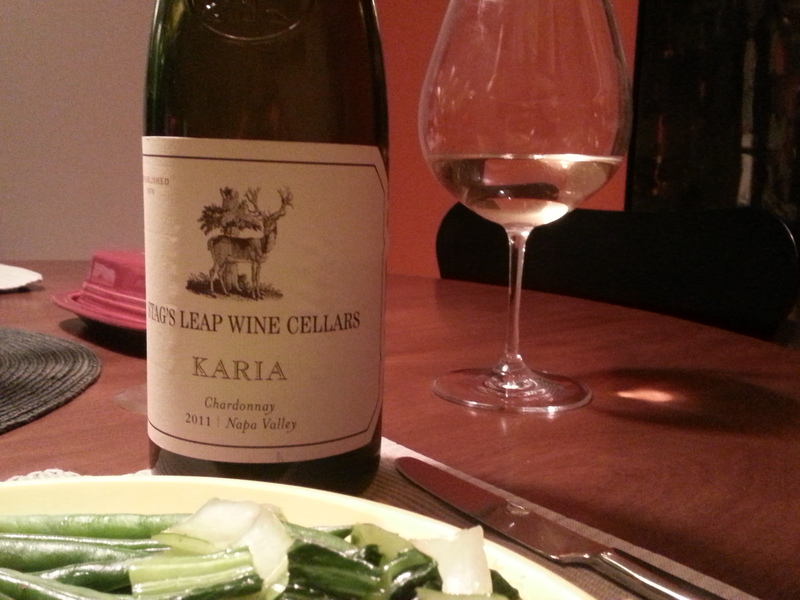 A touch more acidic than you would expect from Stag’s Leap; see a couple of our red reviews here and here. If money is no object, you can do better at this price point, but that doesn’t detract from the accomplishment. We weren’t totally won over and when we shell out $40 we like to be won over. Price: $40 at an LCBO in Toronto. Market Liquidity: Accomplished but not an accomplishment. Strong and assertive, very dry, quite acid, but on the palate a fair bit of nuance. Even curious (at room temperature). For us, too typically wham-bam Chardonnay for a repeat performance, but round the table there were comments about tropical fruits and spice and whatnot. A little over the top for me. Price: $15 at Trader Joe’s on a recent WA trip. Market Liquidity: Like a three legged table; not quite as good as one with four.